Celts on the River Festival 2012 on September 8th | Louisville, Kentucky | Joe Hayden Real Estate Team - Your Real Estate Experts! The annual Celts on the River Festival for 2012 is happening this Saturday, September 8th at the Jeffersonville River Stage Amphitheater from 1pm to 10pm. If you and the family are looking for some entertainment this weekend, Jeffersonville is ready to provide it with soul stirring, Celtic music in their celebration of Irish heritage. This family-friendly festival was started by the Kentuckiana Celtic Foundation in 2009 to celebrate the Irish heritage of local residents. Those that attend will find a unique array of cultural and children’s activities areas, exhibits and demonstrations by local Celtic organizations, plus arts and crafts booths. There will also be some fabulous food and Irish beer that is both brewed and served by the Albanian Brewing Company. 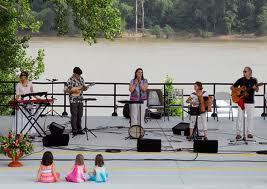 During the Celts on the River Festival, the River Stage will be echoing with sounds of Celtic tunes for all to hear. Festival goers will be entertained by Liam’s Fancy from 2:30 to 3:15, Draper Band from 5:30 to 6:15, Derby Boys from 7:00 to 8:00 and Guilderoy Byrne from 8:15 to 9:30. The festival will end with a charismatic Celtic Jam Session from 9:30 to 10:00. The "Celts on the River 2012 Festival" has become a large scale, family fun event filled with music, food, drinks, arts and crafts. This free festival partners with the charity “Blessings in a Backpack”, so feel free to bring a slightly used or new backpack to donate. All proceeds go to help local needy children, so bring the family out and have a good time for a worthy cause on September 8th at the annual Celts on the River Festival.